I hope you are having a lovely and relaxing summer. This past week we have seen scorching heat, not only in California, but what seems like all across America. There are terrible brush fires near Los Angeles and we are seeing the effect with darkened skies and ash all over our streets. I hope that everyone affected by the fires in California are safe and able to return to their homes soon. Last week I celebrated my birthday. It was a quiet, happy celebration with my family. My husband, the children and I dined at one of my favorite French bistros in Culver City, Meet in Paris. I just love it there! I will be taking a few weeks off from the blog, but before I do, in today's video I share the birth story of our son as well as some summer favorites. I did a giveaway for this book in June and, after reading it, am back to tell you how much I loved it! It was a page turner that I did not want to end. I highly recommend it. 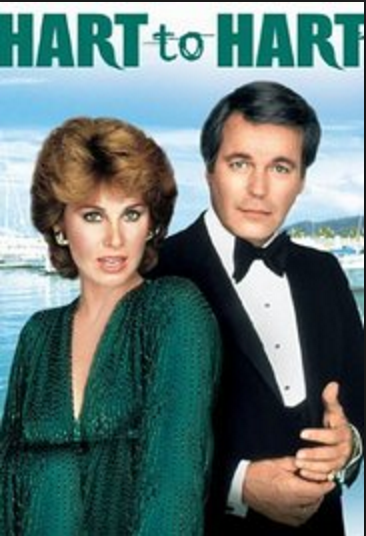 Hart to Hart on Hallmark Movies and Mysteries has given me such pleasure. It is a TV show from the early 80s starring Robert Wagner and Stefanie Powers. I love it, of course, for the mystery, but also for the nostalgia of how people used to dress well on a daily basis. A very high-class show, indeed! Bringing Up Bates on UP TV. 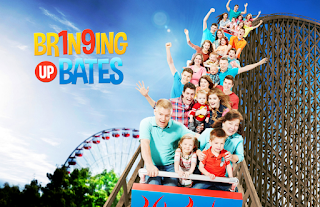 I have fallen in love with the Bates family, a large family living in Tennessee. A while back I read an online review from a reviewer who said she didn't want to like the show, but ended up loving it. It is a heartwarming show that is family-friendly. 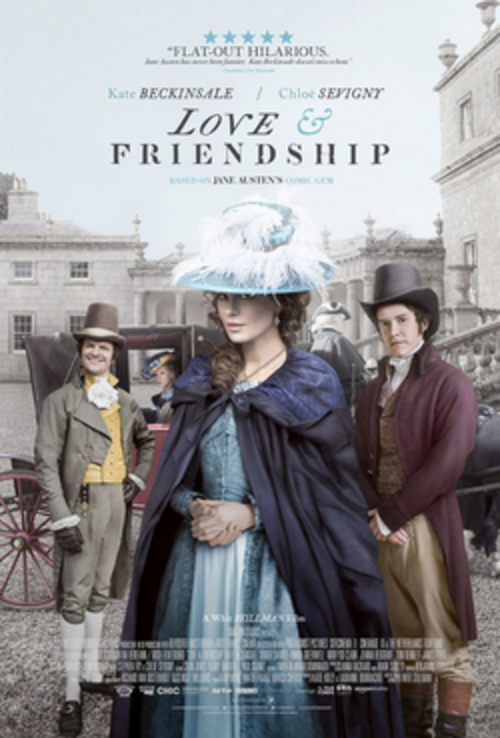 Love & Friendship, directed by Whit Stillman, is an adaptation of Jane Austen's novella, Lady Susan. This movie is sharp, funny and a feast for the eyes. I loved it. I adore She's in Her Apron because Kimmy is funny, down-to-earth and endearing. Plus she is a great motivator for housework. Kathryn Morgan is a former dancer for New York City Ballet and both of her YouTube channels are so fun to watch. If you want to see an elegant, poised and classy YouTuber, you must check out her channel. If you watch either of these channels, please tell Kimmy and Kathryn that I said, "hello!" I am featured on BBC in an article called, Meet the People with Almost Nothing in Their Closets. 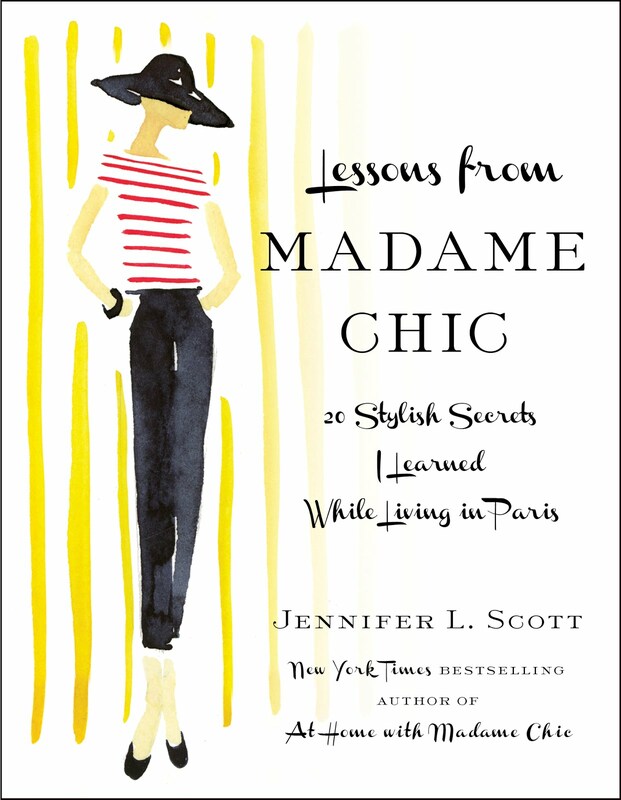 Lessons from Madame Chic is featured on Glommable's article on Books for Unabashed Francophiles. My TEDx talk on the Ten-Item Wardrobe has been featured in Apartment Therapy's article, Flirting with Minimalism or Downsizing. Whenever I find myself feeling a bit down on myself compared to others I repeat this quote by Theodore Roosevelt, "Comparison is the thief of joy." It snaps me out of the funk quite quickly! It's a good one to keep top of mind. Thanks for another great video Jennifer! Thank you, Wool Fairy. That is a great quote to remember. Comparison is the death of joy. I recently saw a quote that said, "Admire another's beauty without questioning your own." I love that! In the past, I've admired the beauty of other women and immediately tried to make myself look more like them. Now, I know what enhances my own beauty and what doesn't work, and I can admire someone else's qualities without trying to adopt them. Hi Emma, I love the emphasis on admiration, rather than comparison. Thank you for sharing! I would love to know what your summer favorites are. What are you reading and watching or loving this summer? Let us know in the comment section below. I will be taking a few weeks off of the blog, as I do every summer. I will see you back, refreshed and renewed in August. See you soon! The final pre-recorded Q&A is up today. I have really enjoyed publishing this content and staying in touch with you, while still caring for our newborn baby. He is doing great, by the way! Thank you to the Polish readers for your wonderful reception of Polish Your Poise with Madame Chic! Polish fashion and lifestyle writer, Kasia Tusk, reviews the third Madame Chic book on her excellent blog, Make Life Easier. Here is some promotional artwork from the Polish publishers that discusses facebook etiquette, texting and staring at your smartphone. Congratulations to my friends, Cliff Simon and Loren Stephens, on the publication of their book, Paris Nights: My Year at the Moulin Rouge. This book shares a behind the scenes look at the Moulin Rouge from a man's perspective. From a young age Cliff Simon knew he was headed towards big places. Having grown up as both a skilled gymnast and a competitive swimmer, performance was in his blood. But with the onset of Apartheid and the looming threat of war, he and his Jewish family soon retreated from Johannesburg, South Africa to the London countryside. Before he knew it, he joined the British swim team and was near Olympics-bound with a full-ride offer to a United States university. But something wasn't quite right. Instead, Cliff returned home and enlisted in the South African Air Force. Cliff's habit of impulsive risk-taking would continue but ultimately pave the foundation for an experience most of us would only dream of. After he was honorably discharged, twenty-seven-year-old Cliff worked a series of odd jobs at a resort near the Indian Ocean until he received a phone call from an old friend inviting him to join him at the iconic Moulin Rouge. Here begins the story of Cliff's meteoric rise at the Moulin from swing dancer to principal in the glamour filled show, Formidable; his offstage encounters with street thugs and diamond smugglers; and the long nights filled with after parties and his pick of gorgeous women. Encounter the magic, the mayhem, and the glory that was and still is the Moulin Rouge. Hello Jennifer, It would be a year ago that I watched your Ted lecture on the 10 Item Wardrobe. I was fascinated and loved the idea, so I bought and read your first book, and have been working on incorporating so many elements that you present in my daily life since then! What a joy you are! I love your honesty and transparency in your weekly messages and feel each time like I am catching up with a dear friend! Thank you Jennifer for being a voice of common sense and elegance. I am looking forward to reading your other books and hope that your message of everyday beauty continues to spread! Dear Diane, Thank you for your lovely testimony! I am happy to hear that the books and blog have impacted your life in such a positive way. I love my readers and feel that you are all dear friends as well. Have a wonderful week. 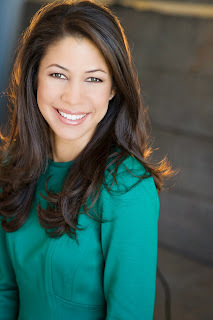 This week I would love to know your thoughts on comparing yourself to other women. Do you struggle with this? Do you have daughters, friends or family members who struggle with this? Let us know your opinions in the comment section below and your comment could be chosen as comment of the week! 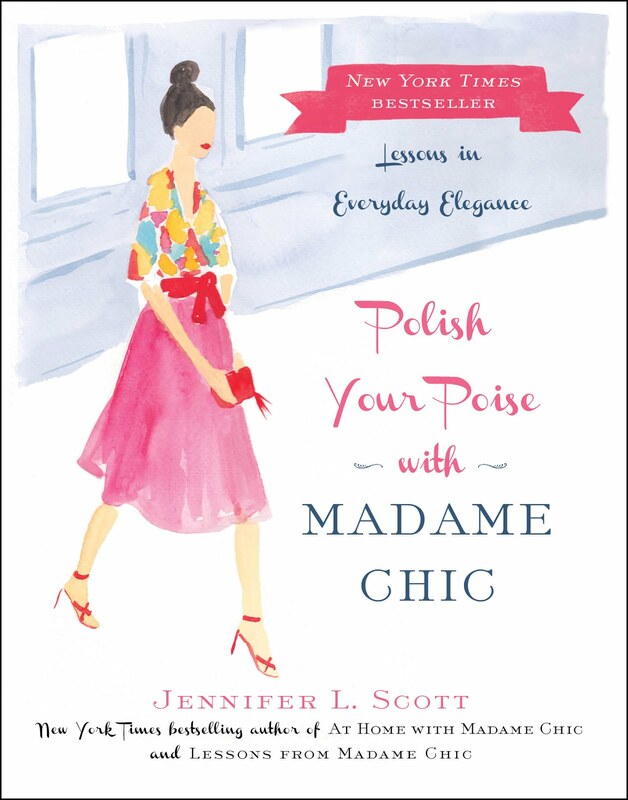 Polish Your Poise with Madame Chic comes out in Poland today from Wydawnictwo Literackie. The book is already available for sale in Bonito Bookstores. 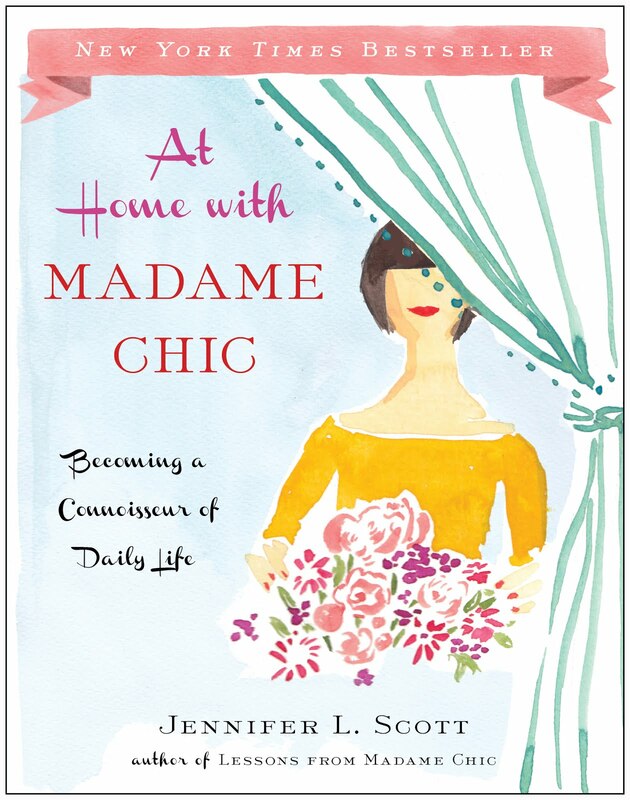 The New York Times bestselling author of Lessons from Madame Chic and At Home with Madame Chic revives the timeless quality of poise and shows how to cultivate it as a daily practice and a life-long endeavor. Today, I have a special video for my Polish readers. Thank you for making the Madame Chic books a bestseller in your beautiful country! To all of my fellow Americans, Happy Independence Day! 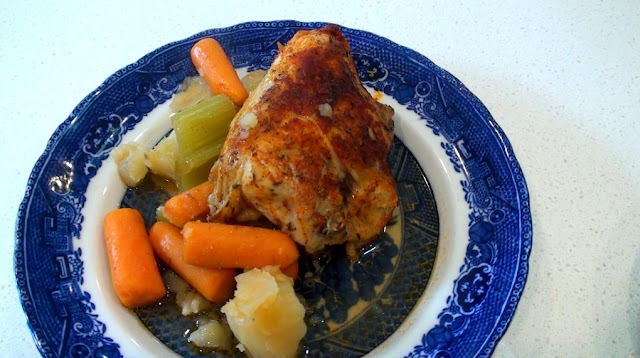 We are taking a break from the Q&As (you can see the last one in the pre-recorded series next week) for an easy slow cooker recipe that your family will love: roast chicken with vegetables. The chicken comes out tasting like a rotisserie chicken, succulent and juicy with a crispy outer edge (thanks to my special trick!). I love using the crockpot because it just takes a little preparation in the morning and voilà, you have a home-cooked meal waiting for you in the evening. This recipe uses a homemade rub for the chicken, but you can use any rub you like. Lemon pepper would also be nice, as would plain salt and pepper. Directions: Chop vegetables and place them in the slow cooker. Take the cut up chicken and rub generously with the rub. (Make sure the rub is fully mixed together before placing on the chicken.) Place chicken on top of the vegetables. Cover. Cook on low 8 hours or high for 3 1/2 to 4 hours. When you are ready to eat, take the chicken out and place under a broiler, checking every two minutes (6 minutes worked for me). This will make the skin crispy. Serve with vegetables and jus from the crockpot. Sprinkle with pepper and garnish with parsley, if desired. Enjoy! A Return to Simplicity shares how the ten-item wardrobe has changed her life. Hi Jennifer! I think having a running list on the back of my mind of specific things I've been looking for has been most helpful. This spring for instance, I realized I was going to need a new swimsuit for the summer season. Instead of going to the store and buying the first thing that fit, I looked around and I did some research about which brands would be the highest quality I could budget for. I saved some money and in the meantime I put up with wearing the old suit. Then the brand I was most interested in had a sale. I was able to order a beautiful swimsuit in exactly the color I wanted for just under the price I had budgeted for. I'm really happy with it, and even more so because I had put the thought and planning into the purchase. Nothing is more rewarding than planning, budgeting and then shopping for an item. For one, it protects you from the "buyer's remorse" associated with impulse buys. In addition, purchasing things one at a time can make those purchases even more special and pleasurable than getting lots of new things all at once. When you plan, you avoid the potential for associating the things you own with negative emotions like guilt or financial stress. Dear Lillian, you present a wonderful example of the correct way to shop for the ten-item wardrobe. In your case, with the swimsuit, you are talking about shopping for the "extras". After adopting this more mindful way of shopping, you will do this with everything you buy. No more impulse purchases! No more being swayed by marketing and sales! It truly is wonderful. Jennifer, I met you through my library audio book app. The 10 item wardrobe concept is a God-send to me. I'm nearing 60 years old and am petite. Finding clothes is difficult when you're a 00P or 0P. Initially I felt great relief that I didn't have to find a closet-full of clothes--only a few items. I've been amazed at the combinations I have. It's stretched me to look harder for the possibilities in front of me and I'm pleased. Dear Sue, I'm so happy to hear that the ten-item wardrobe has been beneficial for you. Thank you for sharing your testimony! Here's something that helps me look and feel chic most days even if I'm just staying home with my kids. I put my hair in an easy and elegant updo (It's soooo hot in Atlanta now! ), polish my toenails, and put on earrings and a necklace. I might only be wearing shorts and a plain t-shirt, but the little extras make you look and feel more polished. I do the simple makeup routine daily with makeup from Target. You don't have to spend huge amounts of $$$$ to be chic. Dear Margery, It truly is the little details sometimes that bring us the most pleasure. I'm sure your family notice the effort you put into presenting yourself everyday. Thank you for sharing your tips! This week, I would love to know what quick and easy crowd-pleasers you like to cook for your family. Do you have any recipe requests you'd like to see from me? Let me know in the comment section. See you all next week for the last installment of the Q&As. See you on Thursday with a special message for my Polish readers for the publication of Polish Your Poise with Madame Chic!